Get fast printing that fits your space and your budget. Produce professional-quality results, and print and scan from your smartphone. Compatible operating systems .Windows -10, 8.1, 8, 7: 32-bit or 64-bit, 2 GB available hard disk space, CD-ROM/DVD drive or Internet connection, USB port, Internet Explorer. AppleOS X EI Capitan (v10.11) macOS Sierra (v10.12) macOS High Sierra, (v10.13); 1.5 GB HD; Internet required; USB Linux. 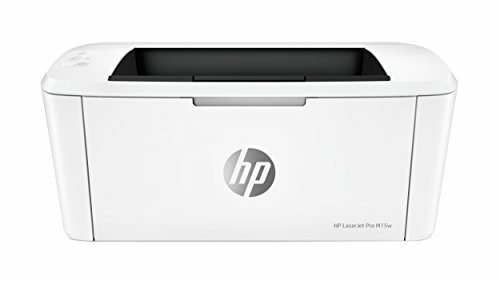 WORLD'S SMALLEST LASER PRINTER IN ITS CLASS - HP's smallest LaserJet Pro is 35% smaller than its predecessor yet still delivers the same professional-quality black and white prints you've come to expect. DESIGNED FOR SIMPLICITY - This LaserJet Pro is extremely intuitive to use and measures at only 13.6"w X 7.5"d X 6.3"h, making it the smallest LaserJet in its class.